What Does CPR Actually Stand For? 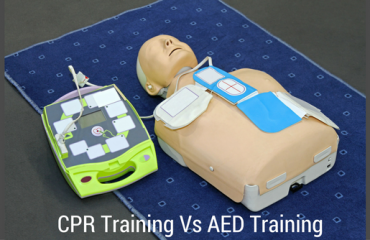 Many people have heard the letters C-P-R, but what exactly is CPR? What does it stand for and what does it actually mean? CPR is short for Cardio Pulmonary Resuscitation. It is a technique used to save a person’s life that has a sudden cardiac arrest. During this procedure, a person initiates a series of steps in order to help the victim’s blood continue circulating and maintain oxygen levels in the victim’s body. The steps include breathing (“rescue breaths”) into the victim’s lungs and compressing the victim’s chest. Let’s break this down even further to better understand CPR. The word “cardio” basically means the heart. 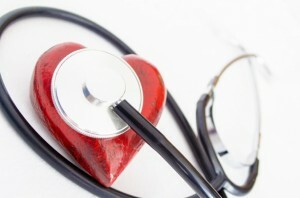 Our heart is one of the most important organs in our bodies. The heart is a very strong muscle, found in the chest, which expands and contracts more than 60 times every minute and pumps blood, which is rich in oxygen, from the lungs to the rest of the organs in the body. If the heart stops pumping that all-important oxygenated blood to the rest of the body, tissue begins to die because the body’s vital organs are being deprived of the oxygen it needs to survive. This can lead to organ malfunction, brain damage or, in the worst case, death. The word “pulmonary” essentially means the lungs. The lungs are as important as the heart because when you take a breath (which you do up to 25 times a minute! ), you fill your lungs with much needed oxygen and that oxygen combines with sugar to fuel your body and its vital organs. Since the tissues in our body do not store much oxygen, it is essential that they remain constantly oxygenated. The “R” in CPR is the most important letter and it means “resuscitation.” It basically means bringing someone who is apparently “dead,” back to life. It sounds more like a sci-fi movie than it really is. The human body only has a short supply of oxygen once the heart stops and the lungs are no longer receiving adequate oxygen. Once it runs out of oxygen, cell and tissue damage ensue, which can lead to brain damage and even death. When resuscitating a victim, it is important to remember that without oxygen, cell and tissue death begins between four and six minutes after being deprived of oxygen. But, when would you possibly need to perform this life-saving technique? Today, CPR learning is important for everyone including the non-healthcare professionals like teachers, coaches, personal trainers, daycare workers, babysitters, construction workers, etc. By knowing how to provide CPR, one can literally save a life! And, since over 80% of people will experience sudden cardiac arrest outside a hospital setting, by providing CPR you can possibly restore up to 40% of the normal circulation that has stopped, giving your loved one, or a perfect stranger, a greater chance at survival. Online CPR certification and re-certification is available through CPR Select’s convenient, flexible live classes. Go to http://www.mycprcertificationonline.com/ and sign up today so that you, too, can learn to save life of victim during the crucial time.